The Juce Hotel, a mid-range beach hotel with an 18-bed dormitory, was opened in Ambalangoda recently. It also has 21 colour-changing rooms, a roof-top bar with a resident DJ, a chill-out pool, and a beach side pizza corner. 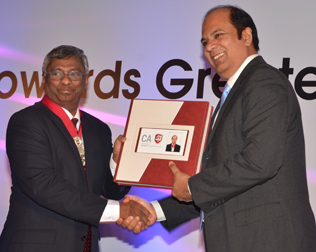 Chartered Accountant Lasantha Wickremasinghe was inducted by outgoing President Arjuna Herath as the 23rd President of the Institute of Chartered Accountants of Sri Lanka (CASL) on Tuesday, January 26. Speaker of Parliament, Karu Jayasuriya, Minister of Finance Ravi Karunanayake, Chairman, International Federation of Accountants' SMP Committee, Dr. Giancarlo Attolini, senior government officials, corporate leaders and international accounting personalities were also present. Wickremasinghe, a fellow member of CASL counts 20 years of experience and is a partner at B.R. De Silva & Co. Chartered Accountants. He has served in the CASL Council since 2006, and was Vice President from 2014-2015. He is a Board Member of the Confederation of Asian Pacific Accountants (CAPA), the regional organisation representing national accountancy organisations in the Asia-Pacific region, and is a Technical Advisor to the Board of the South Asian Federation of Accountants (SAFA), an apex body of the South Asian Association for Regional Co-operation (SAARC). He chairs SAFA's Improvement in Transparency, Accountability and Governance Committee (ITAG) and is a Member of the Board of Directors of the Sri Lanka Accounting and Auditing Standards Monitoring Board, and an Ex-Officio Member of the Securities and Exchange Commission (SEC). A product of Nalanda College, Wickremasinghe whose experience spans the sectors of banking, finance, insurance, lotteries, plantation, manufacturing and services, has also served as Chairman of several CASL committees.